Love Travelling? 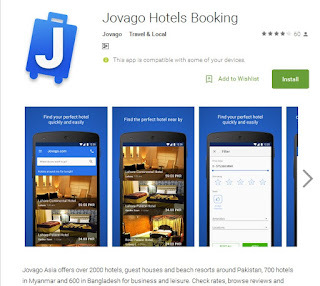 Use Jovago's app to book your hotel at your desired spot! Tourism in Pakistan is on the rise, although there are still a lot of places that are not explored properly and our tourism industry needs a great deal of awareness building and support by the government. Ironically enough there are people who are still privileged to travel to these wonderful places but perhaps do not deserve it because of the trash they leave behind, a sense of responsibility still needs to be instilled in them. If you love to travel, it's a good idea to explore your own country before flying elsewhere, God has really given us Heaven on Earth in Pakistan. A few months ago Dawn had shared a list of places that one must visit in Pakistan, the article was titled, '16 Pakistani tourist spots you must visit in 2016'. These places are simply mesmerising and are definitely on my own list as well. The dates I selected were September 12 to September 18, 2016 and below are the results I got. These can further be sorted out based on their popularity or rates. 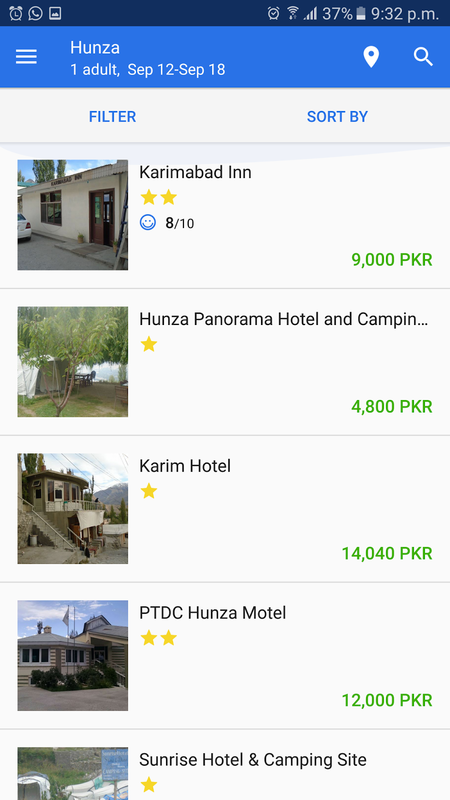 Therefore, for example, Karimabad Inn displayed a total cost of PKR 9,000 which is PKR 1,500 per day. Isn't this app a great way to book your hotel at your desired spot?! The tourism industry is really flourishing again in Pakistan thanks to things going back on track. “Tourism in Pakistan is considered a very hectic and insecure hobby for people of all ages. People love to travel, but they are lacking a reliable platform to guide them with booking procedures. 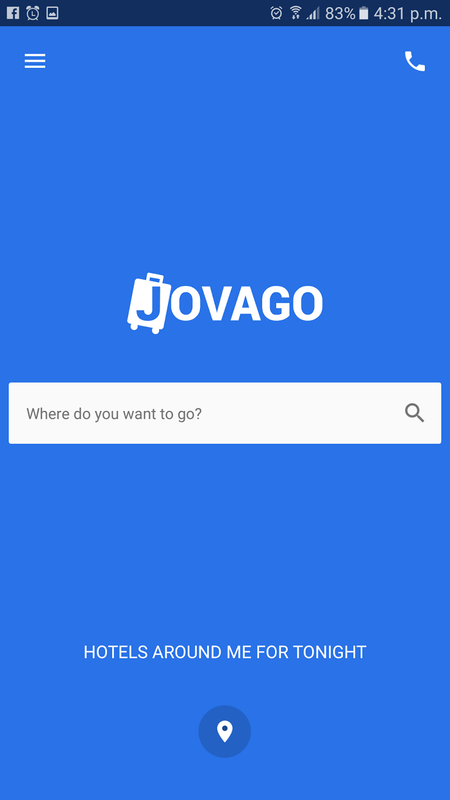 Jovago.pk is working for the benefit of all travel lovers by offering best prices and superior customer services. Through this event Jovago aims to educate travelers about the online booking system that could add to their convenience and will serve the purpose gracefully,” said Nadine Malik, Managing Director of Jovago at a recent bloggers' gathering where we had a nice discussion about tourim and the need of convenience in travelling.